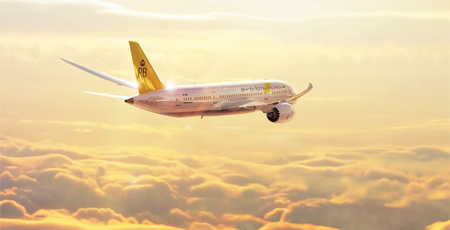 Introduced in 2013 to renew the long-haul fleets of Royal Brunei, the Boeing 787-8 Dreamliner offers high-quality in-flight experience for maximum comfort. With a power outlet and personal TV on every seat, as well as a Business Class that offer seating that reclines to a flat bed, the Dreamliner offers a truly wonderful experience. 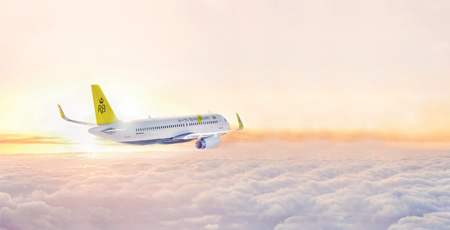 The primary carrier of Royal Brunei’s shorter-haul fleets, the Airbus offers optimum comfort for brief trips. With ergonomic seating, reclinable seats, and comfortable leg room, as well as a Business Class cabin equipped with power outlets, personal TVs, and iPad Minis on certain routes, the Airbus will bring you plenty of delight. 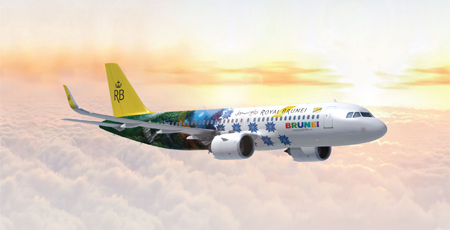 The primary carrier of Royal Brunei’s shorter-haul fleets, the Airbus offers optimum comfort for brief trips. With ergonomic seating, reclinable seats, and comfortable leg room. The A320neo fleet is the world’s first narrow body fitted with Thales Avant (Gen5) In-Flight Entertainment System.